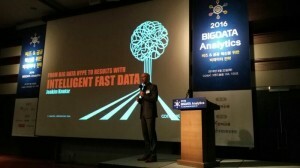 ETNews organised a Big Data Seminar in Seoul on 22-23rd of March. Several hundreds of experts from the Big Data field came together to hear about great ex amples and technologies, and to share experiences. Comptel had the pleasure of joining Team Finland with a speaker slot together with IOT specialists BaseN and Wirepas. So what created most buzz? Nokia had the opening keynote talking about internal and external data, and how all data should be used to improve predictions. Interesting IOT areas were energy, digital health, and connected cars. Also emphasised was privacy and how all connected devices will bring further challenges when it comes to privacy matter. A very interesting keynote was given by famous designer Youngse Kim. He explained how it will be difficult to drive consumer value out of data unless you have Big Design. He explained how consumer design is all about predicting and how this focus on big data will drive momentum into the design-space as well. Mr. Kim further noted that big data and IOT will only be commercialised because of Big Design. New industries will emerge. The design will be at the center of new business for companies who succeed. A good example were two designers who wanted to design hotels, but went on a sidetrack and created Airbnb. The retail side was represented by Tom Spencer from dunnhumby. Key takeaways were how they use big data to create loyalty, and the need for a Chief Data Officer in every organisation. He also showed how everyone need to climb the analytics capability ladder before they will truly be able to turn data into value. With the growing complexity of data gathering, analysis, and exchange we cannot but agree with Mr. Spencer on the fact that most organisations today lack a person in charge of a good vision for big data and strategy. ShinhanCard showed very interesting figures and examples on how they have been able to grow their business with big data. With 22 million members they discovered that they needed to segment their customers and create segment specific credit cards. Today they have 11 different cards. They also talked about how they used real-time data to help the government at the time of the MERS outbreak last year. Or what do you think about analysing how far people are willing to travel for cheaper products? Or using mobile phone credit rating data to give loans? Another hot topic to be noted was real-time analytics. Most of the presentations had some degree of real-timeless in them, and it was great to see that Comptel is not the only one who have realised that the best way to value from data comes from Intelligent Fast Data. I had the honor of presenting Comptel’s Intelligent Fast Data and how to get value out of data using real-time analytics and actions. 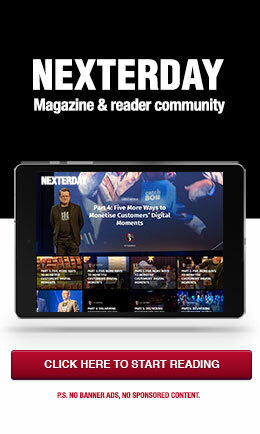 Our Nexterday was, of course, part of the story, and it is interesting to see that Nexterday is really cross-industry. Not only for Telco, but for IT in general and any industry who need to serve their customers better. Remember, focus your customer, not customers. It seems that contextuality is really picking up. Meaning that it is understood that data is most valuable when it is fresh and used at the moment. This becomes even more critical when moving into IOT. So the question is: Is your infrastructure equipped for Nexterday? 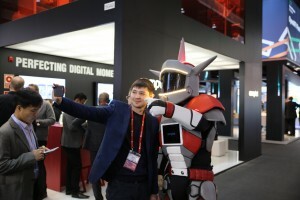 This year’s Mobile World Congress (MWC) was another exciting one for Comptel. We launched a new book, Nexterday: Volume II, and Nexterday.org, an online magazine and reader community, threw a party, and met with many operators who were interested in learning more about transforming their business to address the demands of digitalisation, as well as partners, analysts and media. When it comes to effectively transforming to a digital company, one of an operator’s biggest assets is customer data. 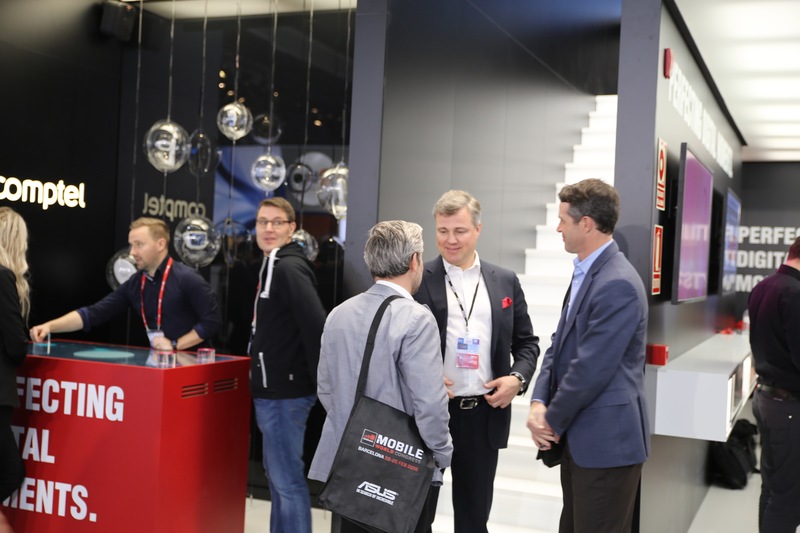 A consistent theme throughout MWC 2016 was the idea that operators are sitting on a store of customer data that, like an untapped oil reserve, could deliver rich insights that lead to significant revenue opportunities. Rising interest in the Internet of Things (IoT) isn’t making matters easier – we saw a flood of manufacturers demonstrating their latest connected devices, from cars to wearables, at MWC 2016, plus a fair share of big thinkers promoting their vision for larger-scale, IoT-enabled operations, like smart cities. Here are takeaways from the MWC panel “Operator Customer Analytics,” where those challenges and opportunities were discussed. Operators have always collected data, but the ways in which they pool, interpret and act on information has changed as technology and processes evolve. Kuan Moon Yuen, CEO of the consumer group at Singapore-based operator Singtel, explained that his company has developed a more sophisticated analytics estate by pooling insights from multiple data sources. Customer data usage has always been important to telcos, but Singtel stressed that analysing other information – location, device and real-time contextual metrics – allows operators to deliver tailored network optimization, better customer support and predictive, real-time marketing. Dr. Jiwon Ashley Joo of SK Telecom agreed that context changes the way operators can serve customers. Her company changed its analytics framework to gain a more holistic view of how its customers interact with various services. This type of observation led to service innovation, including a popular new connected wearable device for kids and pets. As these new services are used, the operator collects even more information about its users, which inform future initiatives. Of course, it’s easy enough to point out operators’ need to mine, interpret and act on their substantial data reserves. Rob Rich of TM Forum clarified the challenge by reminding MWC panel attendees of the significant skills gap that prevents many operators from actually putting these ideas into practice. Of the substantial volume of data currently floating out there in operator environments, a small percentage – about 5 percent, said Rich – is actually actionable. To increase that percentage, operators need to develop an organizational culture for sharing data, and raise their level of sophistication when it comes to leveraging data. That underscored what’s perhaps the biggest challenge operators face in maximizing customer data: they’re already a bit behind the eight-ball. For digital-born companies like Google and Facebook, a data-centric culture, mindset and competency is already built-in. Telcos need to change to acquire some of those qualities. So, if the objectives are to combine multiple insights from disparate data sources, get smarter about how your organisation manages and analyses data and change the culture of your organisation to be more data-centric, what’s your next step? Third-party partnerships can help operators improve their level of sophistication around analytics initiatives, even democratising analytics insight, so anyone from IT to marketing to sales can make smarter decisions about customer information. Analytics platforms bring together raw data from multiple sources, enrich it to provide context and drive the right actions instantaneously. These solutions enable automated and real-time decisions and actions, helping businesses keep pace with fast-changing buyer needs and wants. The biggest opportunity here is in real-time and contextual marketing: an operator who learns a customer is running low on mobile data while that individual is listening to a streaming music app has the chance to deliver a highly relevant and compelling top-up offer at the perfect time. It’s how marketing can and should work if you’re able to act in real-time with the right information about your customer. Learn more about how successful operators leverage customer analytics data in our new book, Nexterday Volume II. What could be more frustrating than learning you missed a great opportunity simply because you didn’t have the information you needed in time? Many operators today miss such opportunities every minute either because their data is too old to be relevant any longer, or their systems are too slow to react to new data in-the-moment. Given the nature of buying digital services today, information ages fast. Learning about your customers’ needs and preferences hours or even minutes later may be too late to engage their peak interest. Instead, digital and communications services providers need to be able to capture, process and draw insights from data, so they can act on it at the point of its peak value – the moment it is created. 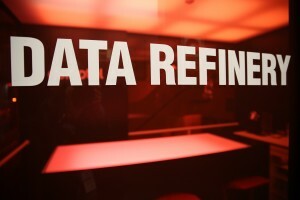 This issue was at the heart of a recent Comptel webinar, “Data Refinery: The Facility for Intelligent Fast Data.” I was joined by Tero Lindholm, senior product manager at Comptel, to provide an overview of the challenges at hand for operators who want to make the most of data and digital buying opportunities. Those opportunities are the result of a “perfect storm” in telco. On the demand side, a huge number of devices and apps are flooding the market, all of which are being consumed by Generation Cloud – those digital natives who want services on their terms and who play by their own rules. On the infrastructure side, advancements in technology – from hyper-fast digital connections via 4G, 5G and fixed broadband, to the ongoing virtualisation of network resources, to the explosion of Big Data – require operators’ immediate attention. At the convergence of these trends is a need for operators to re-write their existing service approach to match a new telecommunications reality. You need to bring new solutions to market in a new way that captures the interest of Generation Cloud, which is resistant to mass marketing, inflexible agreements and limited contracts. You also need to improve the underlying technology you use to support these new solutions, and ensure that as a digital and communications service provider, you are able to operate at a new speed of business. One important component to this is data. With the right data in the right context, operators have the power to address consumers’ individual desires and needs. But, as we suggest in the example above, data is only valuable if it is recent. Given the rapid-fire way Generation Cloud evaluates and purchases digital services, you need solutions that enable you to collect usage data from any source, enrich it with contextual information and analyse it in the moment for instant, real-time application in the form of immediate actions. All of that needs to happen automatically, supported by embedded, machine-learning capabilities that allow your systems to more intelligently interpret data as time goes on. How do you do it? Tero explains the Comptel Data Refinery solution in-depth in this webinar, and also highlights four practical cases in which Comptel customers applied the Data Refinery in a way to bring new innovative solutions to market faster than ever before. Comptel is in the trenches in Barcelona for Mobile World Congress, where the theme this year is all about living on the “Edge of Innovation.” Tens of thousands of attendees are here, all striving to explore how evolving mobile communications technology is changing the way we live, work and play. We made our mark on MWC by launching our book Operation Nexterday at a special launch party Monday evening, and we were thrilled to share our game plan for the future of digital communications with a large crowd that turned out for drinks, tapas, and free copies of the book! In the event’s opening keynote on Monday morning, the chief executives from four of the world’s top operators – Telefónica, Vodafone, Deutsche Telekom and Telenor – shared their thoughts on how mobile will need to evolve to meet the demands of the future. Panellist César Alierta, executive chairman and CEO of Telefónica, explained that nearly 43 percent of the world’s population – around 3 billion people – are connected to the Internet, and 90 percent of the world’s population is expected to have a mobile phone by 2020! As a result, operators will need to embrace efficiencies that will enable millions of new customers to connect to the Internet and engage with new digital services. Alierta identified network quality, affordability and service attractiveness as potential areas of improvement for operators who anticipate a surge of new consumers. As we have discussed before, targeted marketing is one effective way to reach the digitally savvy Generation Cloud – but only 4 percent of enterprises have the resources, budget and promise to deliver on context and better serve customers, according to Andrew Harrison of Dixons Carphone. Harrison was one of eight panellists in a conference session that explored how businesses could gain the context needed to deliver engaging, personalised content to the right customer at the right time. Panellist Peter Fitzgerald of Google UK described why context is so critical to the buying experience. Mobile means purchase opportunities arise regardless of location and situation, whether a consumer is at work, home or even sitting on a train checking their phone. Forty-two percent of consumers use their phone in a retail store to compare prices for a product they see on the shelf – a practice known as “showrooming” – but savvy retailers are taking the opportunity to reach these connected buyers by pushing relevant, in-the-moment offers to their devices right in the store, said Fitzgerald. Businesses today can leverage contextual data to propel instantaneous, personalised offers, and mobile devices are the perfect starting point to find that data. 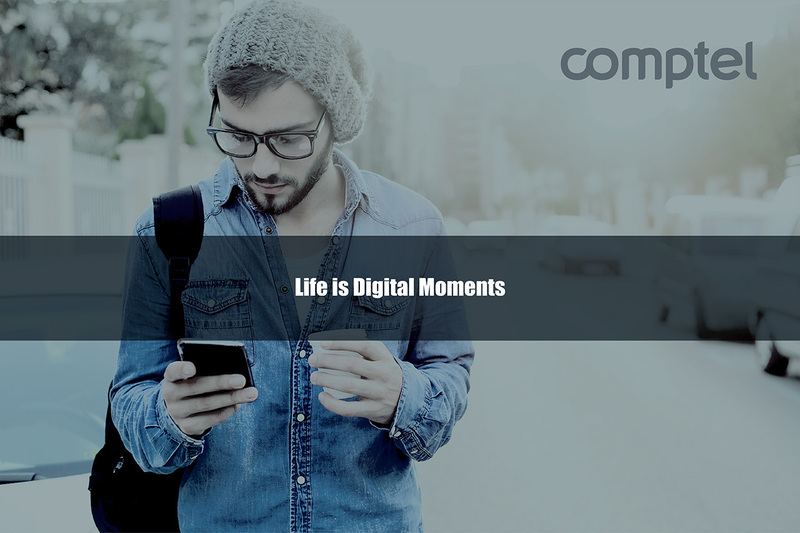 Smartphones and tablets are at the centre of our digital worlds, and as a result, they’re an ideal resource for contextual consumer data. 3. It’s Mobile’s Moment. How Will You Connect Consumers? Sundar Pichai, senior vice president of products at Google, described Google’s efforts to enable Internet connectivity for consumers around the world. As Pichai explained, consumers in the developed and emerging world may take connectivity for granted, but 4 billion people around the world currently lack access to the Internet. Google’s efforts to expand connectivity include bringing Google Fibre to urban areas in Africa, and its Project Loon initiative, which uses a network of high-altitude balloons traveling in the Earth’s stratosphere to bring LTE speeds to rural areas around the world. Pichai also discussed the drone company Titan, a recent Google acquisition that designs lightweight solar-powered airplanes which act as “floating cell phone towers,” bringing connectivity to consumers below. Pichai added that Google will work with operators to build services to deliver to newly connected consumers, but when asked how Google could justify its lofty infrastructure investments, he explained that “it’s mobile’s moment right now.” The bottom line? In the age of affordable connected devices, operators need to follow Google’s lead and embrace innovative ways of reimagining service infrastructure. Better-connected consumers present bigger business opportunities for the savvy service providers who can innovate in the new era of Generation Cloud. From San Francisco to Kuala Lumpur, Where was Comptel in 2014? Posted: January 14th, 2015 | Author: Special Contributor | Filed under: Events | Tags: big data, customer experience, Dreamforce, Mobile World Congress, TM Forum Live! | Comments Off on From San Francisco to Kuala Lumpur, Where was Comptel in 2014? My colleague, Leila Heijola, recently wrapped up Comptel’s 2014 with news of several significant orders, but what wasn’t mentioned was the success Comptel had at events near and far over the course of the year! From industry events like Mobile World Congress in Spain to Comptel’s very own user groups in Europe and Asia, we were able to communicate and collaborate with our communications service provider (CSP) customers, industry partners and other global enterprises alike. To start off the year, we made a splash at Mobile World Congress in Barcelona, Spain. 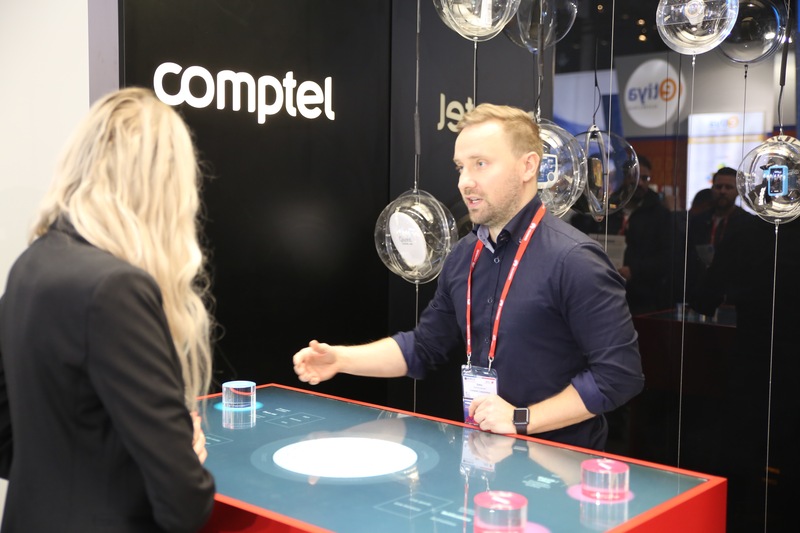 More than 85,000 visitors and 1,800 exhibiting companies joined together to discuss hot topics in telco like Big Data, connected cars and the newest smart devices on the market. Comptel’s Matti Aksela, for one, spoke on a panel, “Big Data Goes on Stage,” covering the current state of data collection, refinement and analysis and the changes we can expect to see over the next several years. While at the event, we launched our study detailing the issues on the minds of CMOs and CIO/CTOs in 2014. Additionally, we were excited to announce partnerships with Tecnotree and a Tier 1 U.S. mobile operator. Next came TM Forum Live! in Nice, France, where a significant focus was on network function virtualisation (NFV). Around this theme, we announced several partnerships including an integration with GE Smallworld to streamline telco service fulfilment. The conference was a great space to discuss the emerging technology with other attendees, and opened many people’s eyes to the potential SDN and NFV have for the telco industry. The fun didn’t stop in Nice, though… Salesforce’s Dreamforce, which took the form of a beach party in San Francisco, California, was a great opportunity for Comptel to hone in on the connection between front- and back-office systems and telcos’ evolution with the cloud and virtualisation. Beyond the lively entertainment, one of the themes, Reimagine: Customer Experience, definitely rang true for Comptel, as we exhibited with our collaboration with CloudSense and technology blueprint to help CSPs improve the B2B customer experience. In addition to attending these industry events, we decided to host our own to connect on a deeper level with our customers. Our first user group of the year took place in Långvik near Helsinki, Finland, and the second was held in Kuala Lumpur, Malaysia. Both were great opportunities to discuss the processes and technologies to help spur CSPs’ transformation and future innovation. At the APAC event, we also picked the brains of some attendees on how they were planning to revolutionise customer experience in 2015. Not surprisingly, analytics, automation, intelligence and the customer experience were on the minds of CSPs globally in 2014, and through great events, we were able to hear from operators about their business pressures and share our views on tackling their various areas of friction. It’s no secret that the telecom industry is rapidly changing, and we’re looking forward to building on the progress made at a variety of events in 2015! Last week at LOOP APAC14, communications service providers came together to discuss the future of the telecommunications industry and how new tools and developments can help spur innovation and disruption. The team at Comptel – along with representatives from Salesforce.com, Tech Mahindra and GE Smallworld, offered insights into what CSPs can expect next year and how new kinds of technologies will help revolutionise networks and customer experience. Prior to our LOOP14 APAC conference, taking place this week in Kuala Lumpur, Malaysia, we had the chance to survey a number of our communications service provider (CSP) attendees about what’s on the horizon for telecommunications in 2015. Last year, there was growing awareness about how marketing and sales can be improved through Big Data initiatives, but only 16 percent of CSPs surveyed said that they had launched a Big Data project. This year, there’s a big focus on how to ensure that every bit of data is collected, processed and put to use for the business, most of all, to build new kinds of consumer experiences. Every CSP surveyed recognised that the consumer buying experience will play a greater role in CSPs’ service creation and delivery processes – so in order to improve time-to-market and innovate and target personalised service campaigns in real time, CSPs first have to leverage the organisation’s data. How are they planning to do it? As we described in our recent blog post about the need for a data refinery, CSPs are increasingly focusing on ways to make the most out of all of the network, subscriber and other data flowing into their IT systems. Unsurprisingly, our survey revealed that one big focus in the APAC region is Big Data and analytics. A vast majority (82 percent) of respondents said that Big Data and analytics play a “moderate” or “large role in company operations. Big Data analytics has become a cornerstone in personalising the experience for consumers – 55 percent of respondents said that they were planning to use Big Data analytics to improve product and service sales with targeted marketing. What’s keeping CSPs from doing it? More than a third (36 percent) of respondents said that they only have a limited internal understanding of how to use Big Data analytics. 100 percent said that interacting with customers in the right way at the right time and in the right context will help create a frictionless experience. 100 percent said that their organisation is consistently working towards improving customers’ journeys. 82 percent said that customer service is more important than the latest handset or network technology for customer retention. 73 percent said that Big Data analytics are vital for prompting responses to customers at ‘moments of truth’ in their journeys. CSPs are thinking about breaking out of “telecommunications” as we know it. Nearly two-thirds (64 percent) of respondents said that their businesses were becoming diversified service providers by moving into adjacent markets through expansion, acquisitions, joint ventures and equity investments. The sample size for the LOOP14 APAC conference was by no means the size of the worldwide telecommunications industry, but the findings still offer valuable insight for CSPs. It’s clear the telecommunications industry is heading in a direction where the customer takes front and centre of all initiatives. The real question becomes whether or not CSPs have the knowledge and technology to leverage the data they need to do it. Want to see the full findings of our LOOP14 APAC Survey? Download the full report. On October 15, Comptel’s team attended IBM Business Connect, an annual event held in Helsinki at the monumental Finlandia Hall. According to IBM, it’s one of the biggest ICT events in Finland, with 1,700 attendees from a diverse number of businesses and industries. A year ago, many presentations at the conference emphasized the importance of Big Data. This year, the messaging shifted to focus on business models utilising predictive analytics. Here is a recap of the main things we took away from the event. 1. Analytics are valuable, but often inaccessible. Even if analytics are everywhere, leveraging their full business value can still be a challenge. Organisations face obstacles around data integration and data preparation, in particular, and this seems to prohibit some companies from using Big Data analytics at all. Therefore, to leverage big data, an efficient data integration and refinery layer is required to be able to utilise every bit of crude data to fuel the business. It’s also important not to forget that when analytics become a natural part of business processes and decision-making, there will be a growing need for intelligent and interactive reporting and dashboards. Analytics cannot be a privilege of data scientists only; the benefits of Big Data analysis should reach much further throughout organisations. 2. Data enhances the customer journey. 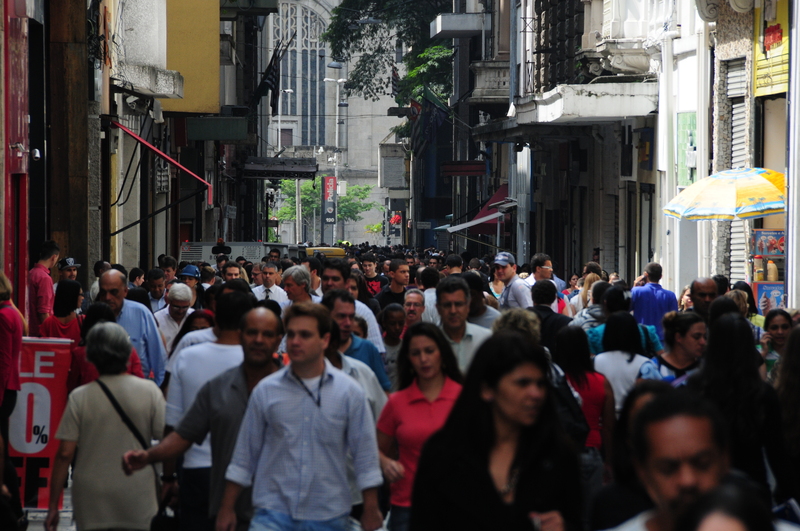 Analysing and modelling customers’ buying journeys will result in new competitive advantages. B2C and B2B companies alike should look to leverage the intelligence that predictive analytics and machine-learning capabilities offer. It can help businesses better understand individual customers and their context and preferred content and unique value, enabling the delivery of ‘moments of truth.’ This means taking the right approach or offering the right product at the right time, with the right content and in the right way to optimise their experience. Ideally, this should be done across and along a customer’s entire journey. According to the presenters, more than half (54 percent) of CEOs in leading organisations want to focus on improving the customer experience by changing interactions from mass messaging to market segments to 1:1 relationships. Vanson Bourne research found that 90 percent of customers are interested in a more personal relationship with communications service providers. But to do this, there needs to be real structural changes within the business. 3. Proactive should replace reactive. Before access to real-time, predictive analytics, business opportunities and strategies were largely based on reporting and business intelligence. Business units would comb through the results of previous campaigns and base future campaigns on those results. Companies need to shift from this reactive, report-driven approach to a predictive, data-driven one, using a solution that can automatically make changes in the business depending on operational data or customer trends by matching customer’s context and content. Predictive analytics can empower every aspect of the business, from product manufacturing to infrastructure and operations to sales and marketing. In order to create data that can be used to revolutionise a customer’s experience, the information first has to be cleansed and processed with analytics tools. Aside from the business presentations, we also enjoyed hearing the keynote speeches. The most inspiring speech was given by Pekka Hyysalo, founder of the Fight Back movement. Hyysalo had just graduated from the Ruka Alpine School, and he was ready to conquer the world of freestyle skiing. When filming a freestyle movie in Ylläs in challenging weather conditions, however, the last jump ended badly. He spent almost three weeks in a coma and suffered a severe head injury. His medical evaluation gave very little hope for a successful recovery, but Hyysalo proved the doctors wrong. With a great attitude, unbeatable willpower and an incredible sense of humour, he learned to walk and talk again. Now, he’s sharing his story and fighting back step-by-step. We hope to see him accomplish the ultimate feat: run a marathon. The marathon project started this autumn when the first Fight Back run was organised in Turku. The distance was 2.5 kilometres, and next year, the length will be doubled to five kilometres. Incrementally, Hyysalo plans to build up the distance and run a full marathon in 2018. The day ended in a fireworks of minds (“Älytulitus”) with prominent public figures discussing their dreams and how they would like to see more intelligence in our everyday lives, from human-integrated identity chips (for convenience of shopping or travelling, for example) to intelligence in the kitchen (to reduce the amount of food wasted) to interesting thoughts of how to generate real-time awareness of our health. While some of these may never come true, the future is ours to make, and we invite all to share in the spirit of open collaboration to accomplish our dreams and making the future brighter together, one step at a time.